When using online faxing services, you need to be sure to find the right provider for you. You need to be sure that your faxes will reach your recipients on time. 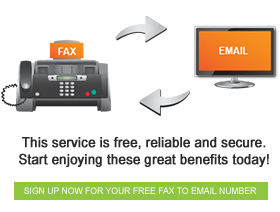 Fax FX is South Africa’s leading online fax provider and for good reason. Our level of service is exceptional, and we will do our utmost to assist our customers. Online faxing is actually an incredibly easy service to use. When you have signed up and received a free fax number from us, you are all ready to start faxing. We have a great piece of software called the Fax Printer, which can convert any and all documents into an easy to fax format. This is great when you work with both work documents and PDFs. You aren’t limited by the software you use. Sending a fax online is also incredibly easy. All you need to do is right click and then click on “print to fax.” Our nifty software will do all of the work for you- all you need to do is add the fax number or email address of your intended recipient. Our services are safe and secure- you don’t need to worry about your faxes falling into the wrong hands. We store all of your faxes online for you to access. Don’t worry, only you can see them- your privacy is important to us. Don’t forget that you can access your faxes from anywhere in the world. For the best free faxing services available, turn to Fax FX.